Between the terra-cota colored brick, the mellow brown wooden door, the green ivy, the touch of gilt on the number 32 above the door, and the pattern of sunlight and shade, this little vista is very … tweedy, I think! Just right for the last day of August!? It seems that there are many such views in these pages; enter “tweed” in the search box to the right for about half a dozen of them! Purple flowering trees, gray concrete, blue sky, green leaves, and terra-cotta colored paint … lovely! 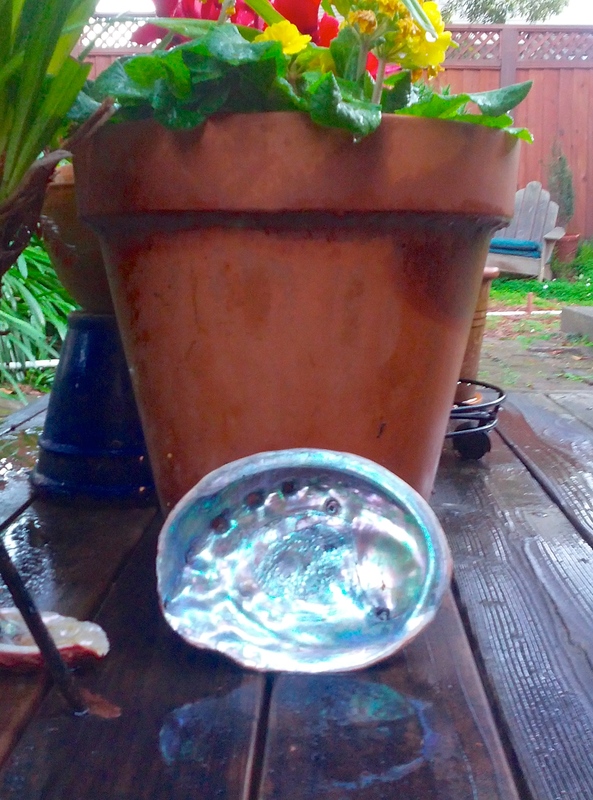 “Ordinary” colors–matte terra-cotta, yellow, and red, glistening green leaves and brown wood–with a great big oval of pastel iridescence–even reflected in the glistening wood! 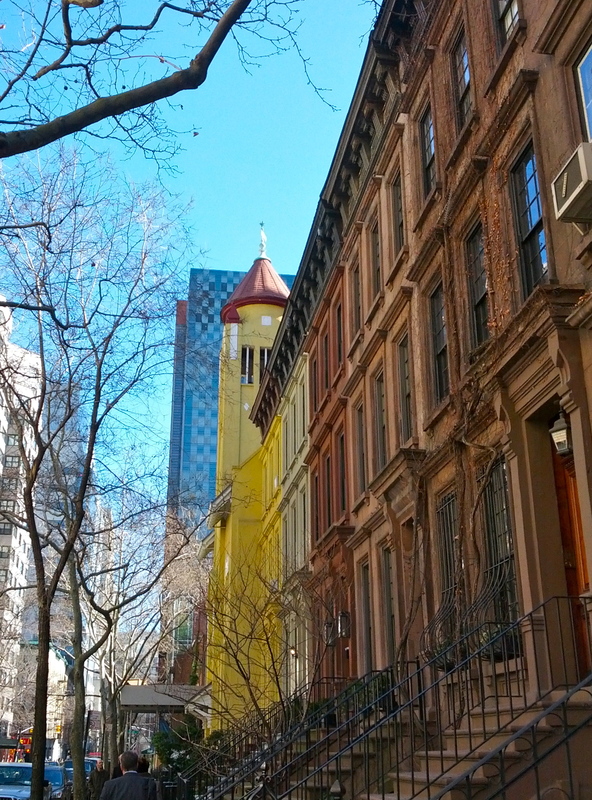 Yellow church on 69th St. The bright yellow edifice glimpsed here against a gorgeous bright blue sky (believe it of not, there’s snow in the forecast for tomorrow!) belongs to the The First Hungarian Reformed Church. It was designed by Emery Roth, a Hungarian-born architect, and completed in 1916. Read more about it here. 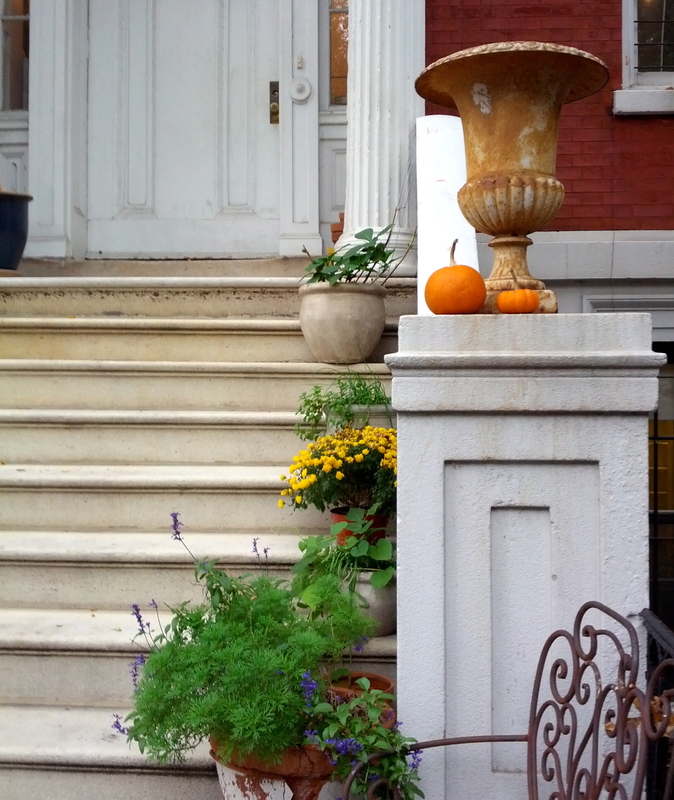 Yellow chrysanthemums, miniature pumpkins, terra-cotta vase, red brick: an elegant stairway of colors!